We have blasted our latest edition of the Minerals.net online newsletter where we announced the winners of our contest. 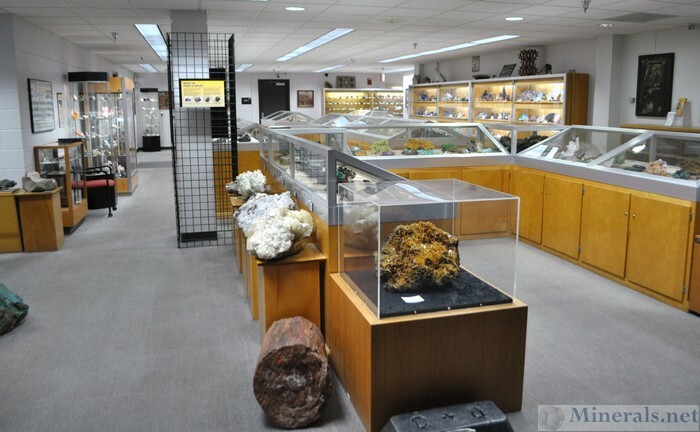 I made my first visit to the University of Arizona Flandrau Science Center this year. 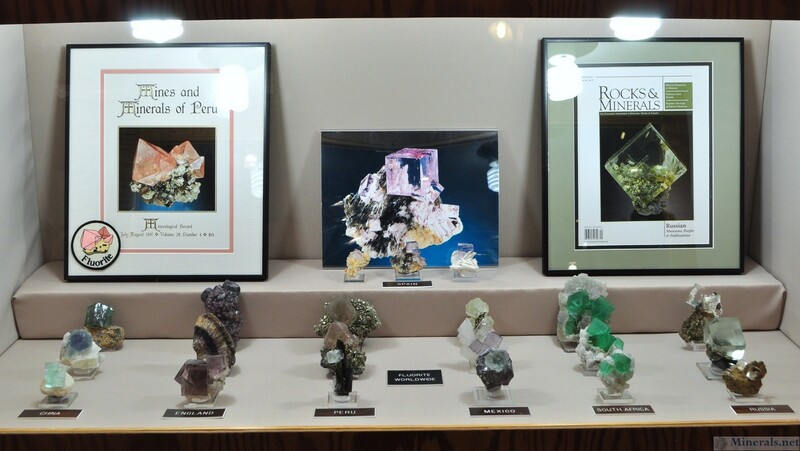 I have heard from people around Tucson and in the mineral magazines about Rob Lavinsky's amazing display being featured in the University of Arizona Flandrau Science Center, so decided to check it out. This was my first time here, and it was well worth the visit. 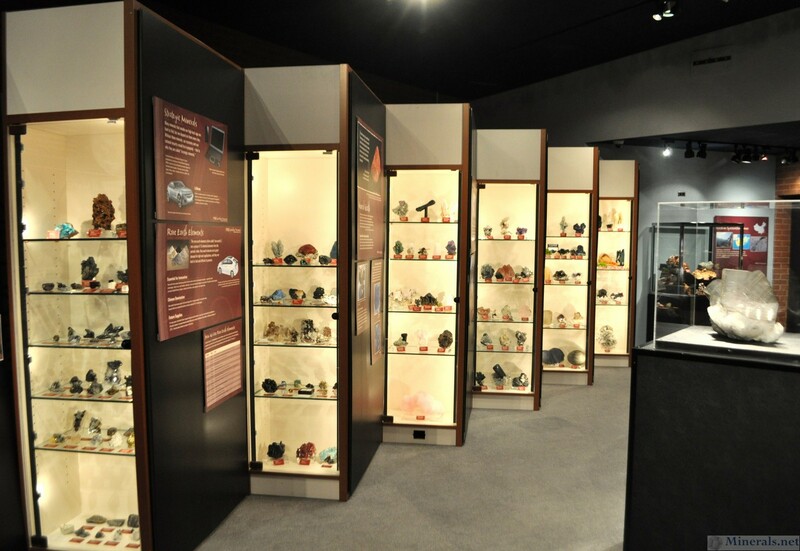 The museum has their own permanet exhibit of minerals, with a special emphasis on Arizona minerals. This museum hall is located downstairs, and although it has some impressive specimens, is definitley an older and dated exhibit. 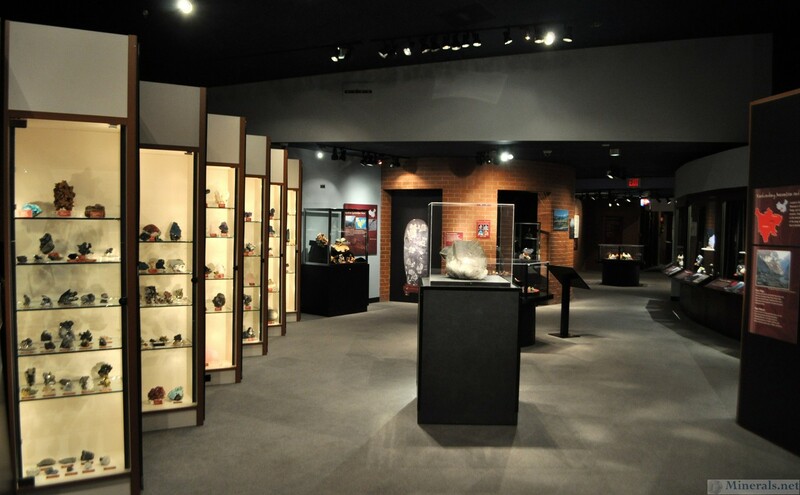 Upstairs is where the special exhibits are located. The museum does a yearly rotation of their special exhibits, and this year's exhibit is the Chinese mineral collection of dealer Rob Lavinsky. This collection is extremely impressive and very diverse, and shows the incredible range of beautiful minerals now coming from China. The exhibit is also top-notch in terms of organization, with excellent lighting and a very modern design approach. 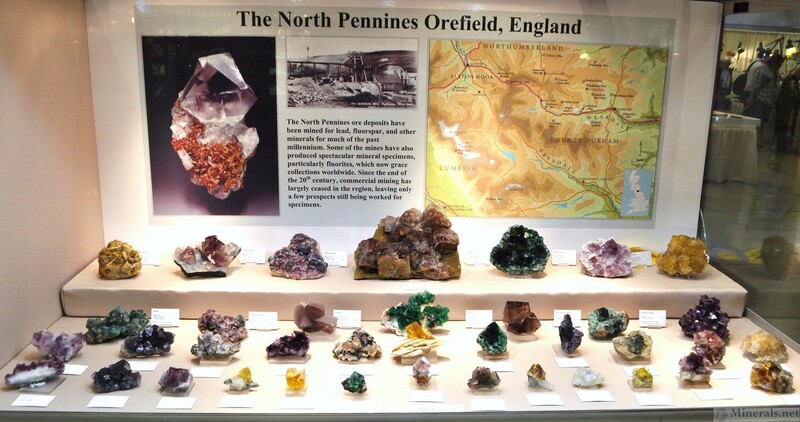 Please click the images below for larger detail. 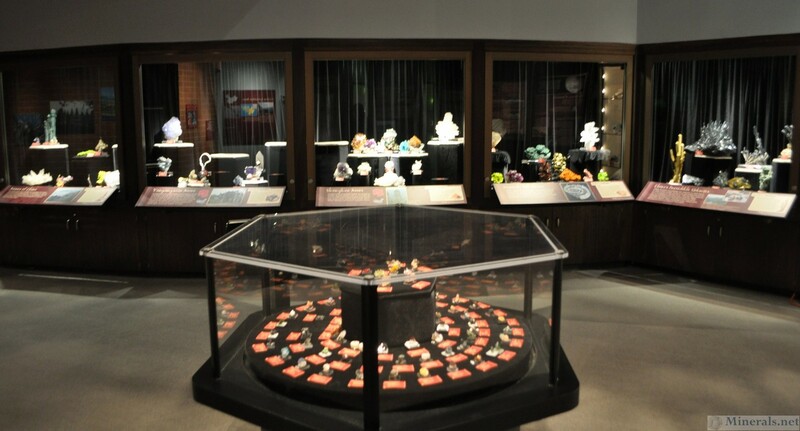 A better view of the side cases. 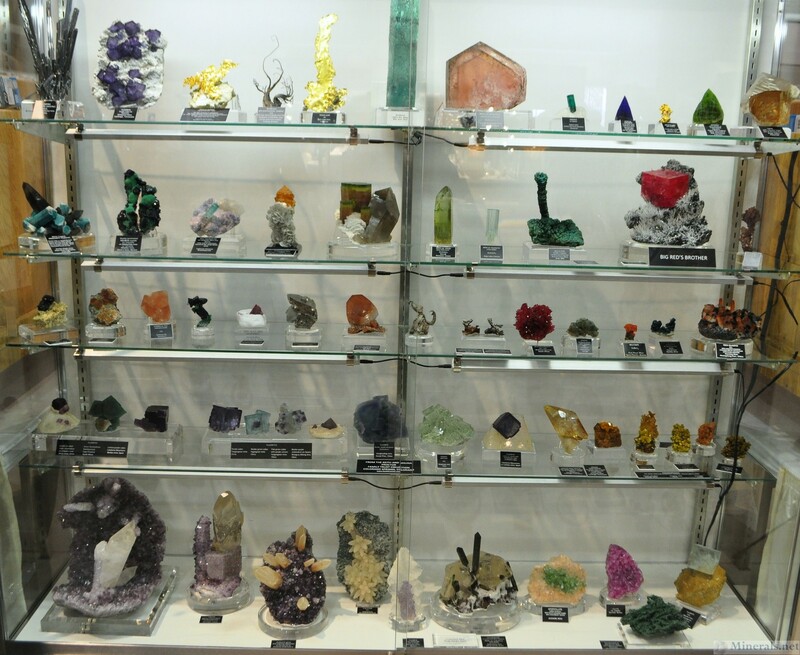 At the main Tucson show, one will be treated to some of the finest mineral specimens in the world, and the minerals seen at the show will often outshine the exhibits of the top museums. The abundance of outstanding minerals is truly mind-boggling. 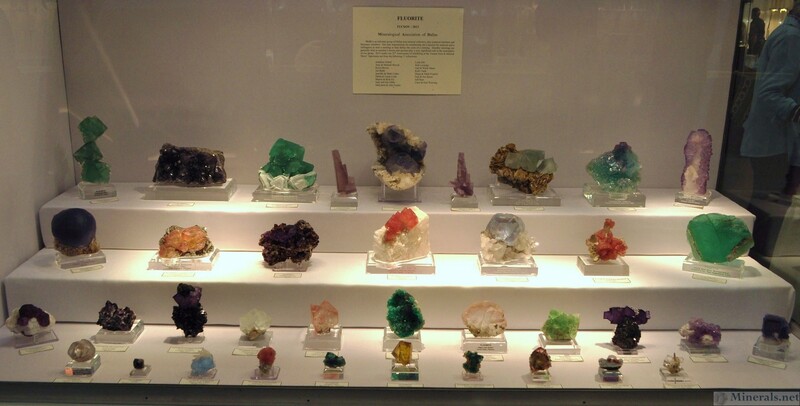 It would be almost impossible to photograph all those excpetional and unique minerals. I therefore took a few sample photos of some items I found unique or interesting, and posted them here. 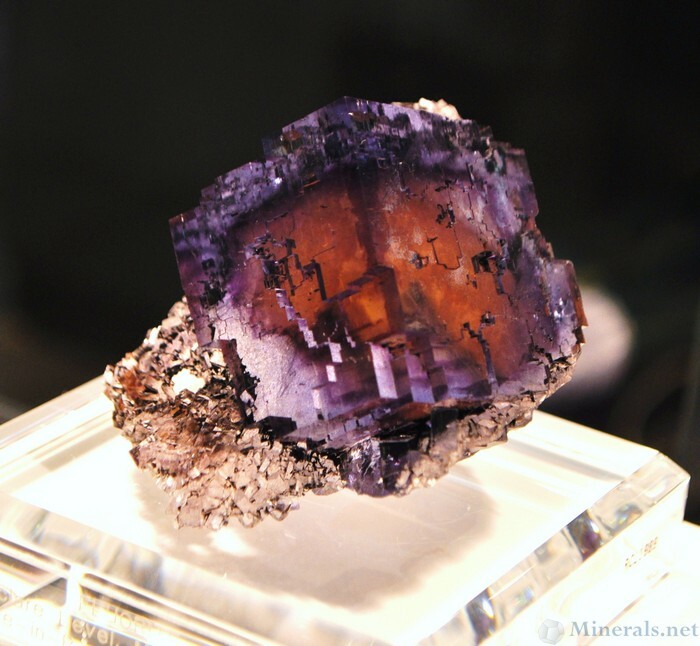 Amazing Fluorite from Illinois. 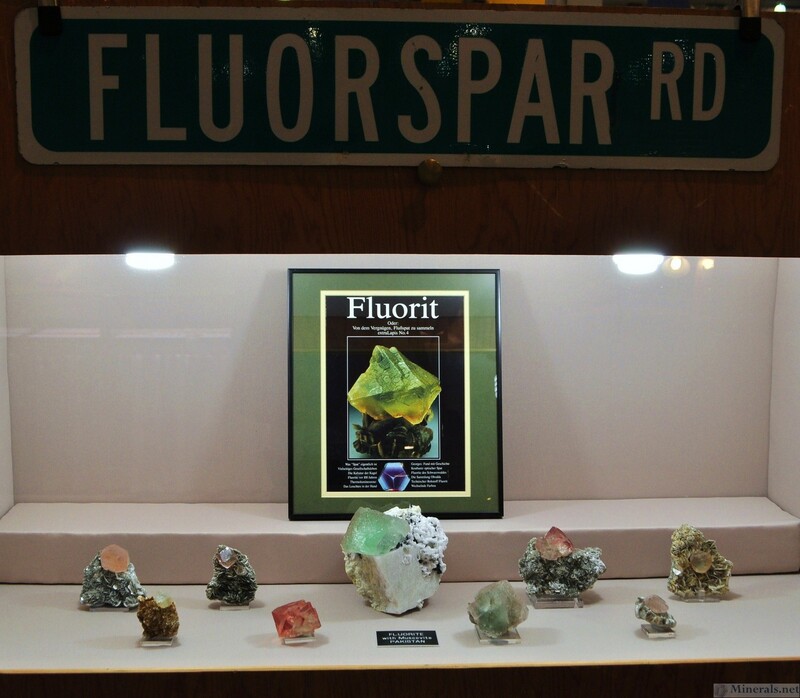 This was the show poster mineral. 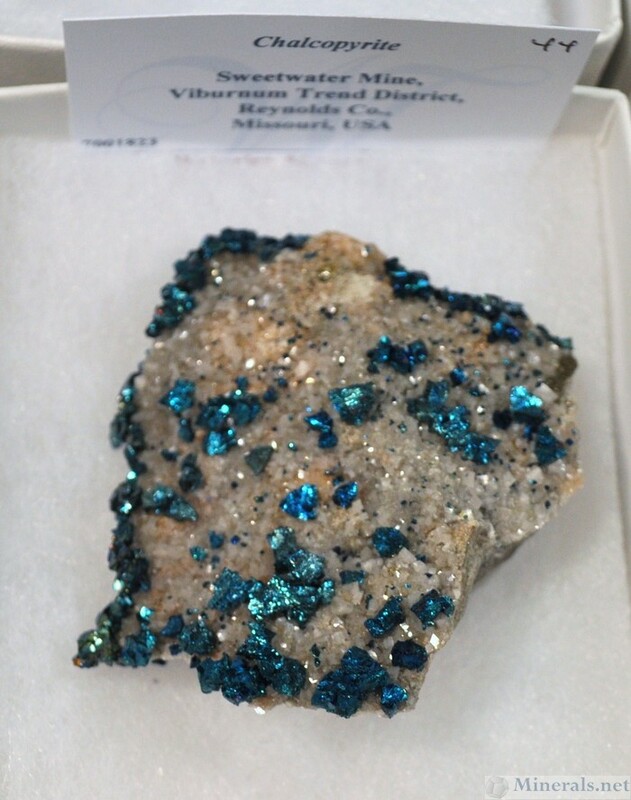 Bright blue, iridescent Chalcopyrite from the Sweetwater Mine in Missouri. 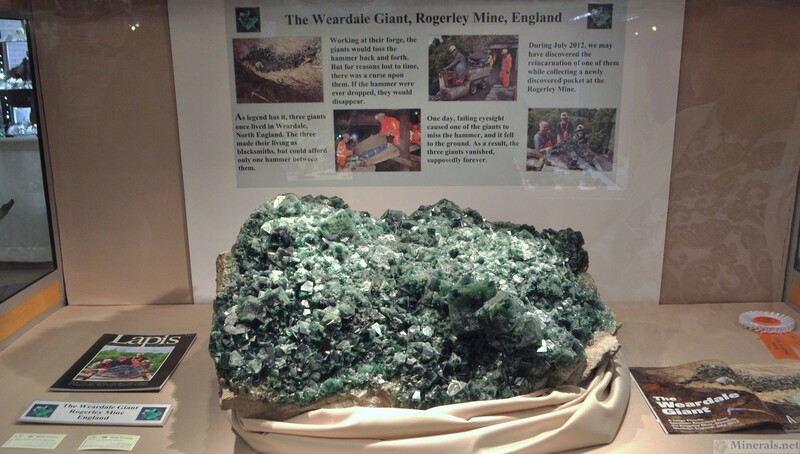 This specimen and others were available from Dan Weinrich. 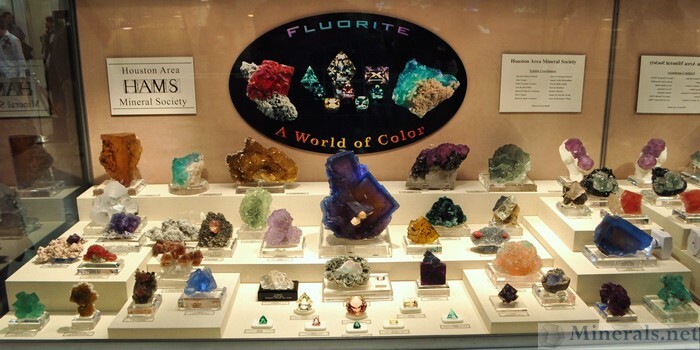 According to Dan, the iridescence is natural and not acid-treated. Amazing case of North Carolina Hiddenite and Emerald, from Terry Ledford's exhibit. 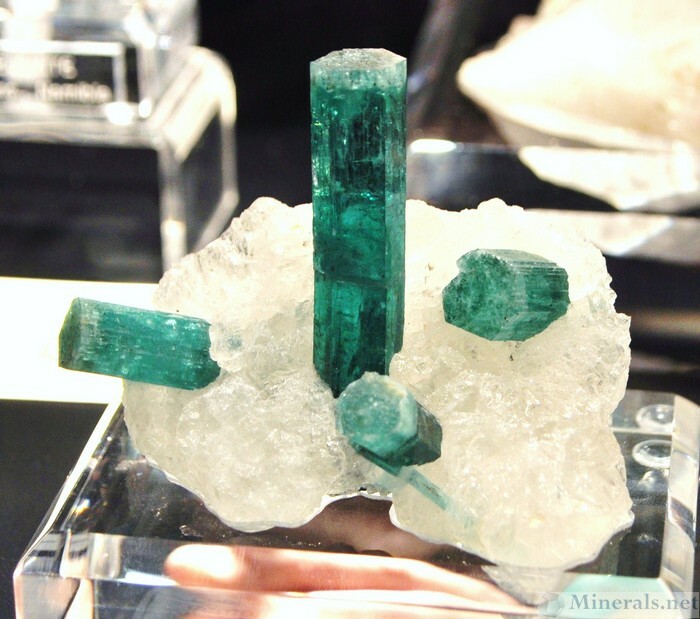 Once on the topic of Emeralds, here is an amazing Emerald on Quartz matrix from the Kagem Mine in Zambia. 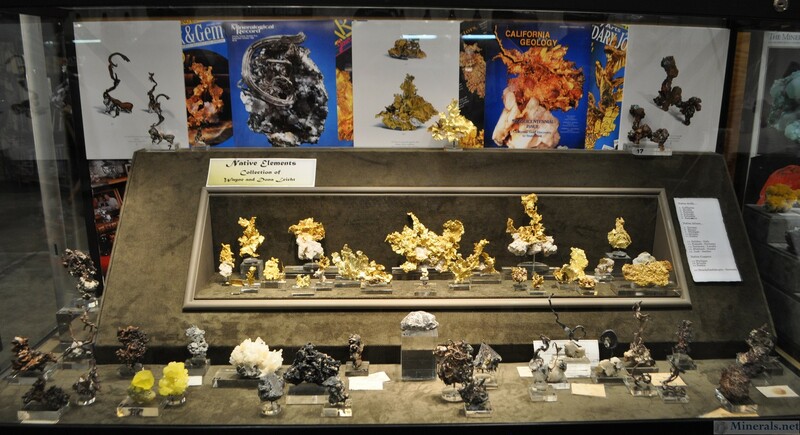 Specimens from this gem mine are relatively new. 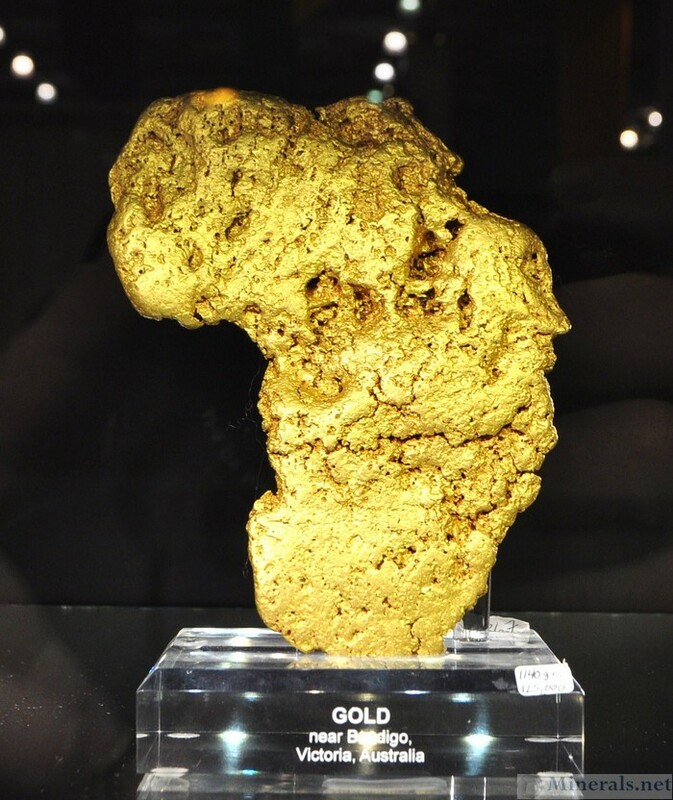 This specimen was for sale at The Collector's Edge. 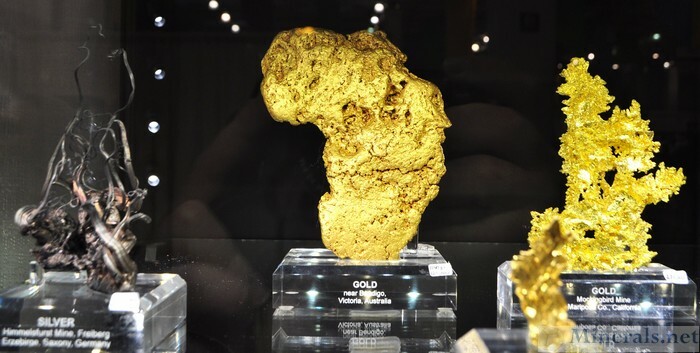 and an intricate Gold from the Mockingbird Mine, California. At Rob Lavinsky's The Arkenstone booth. 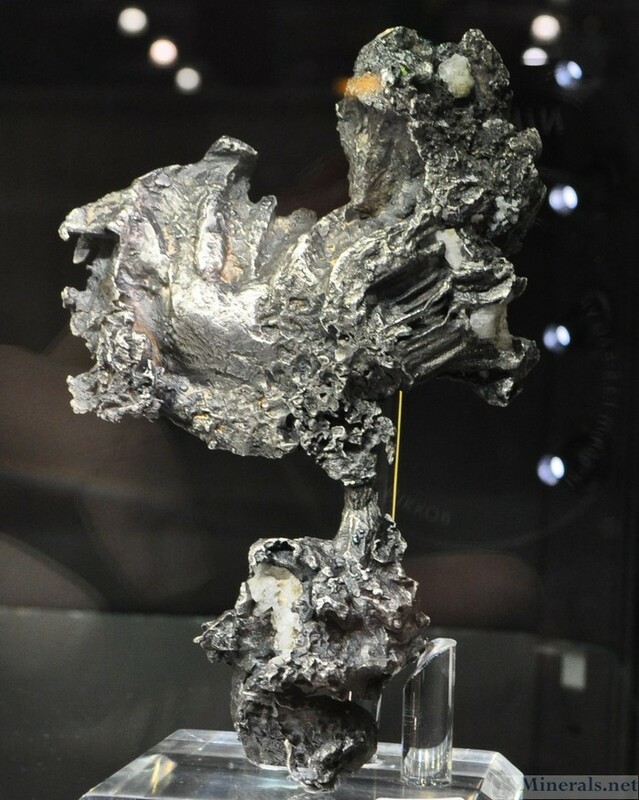 Incredible silver from the classic locality of Kongsberg, Norway. 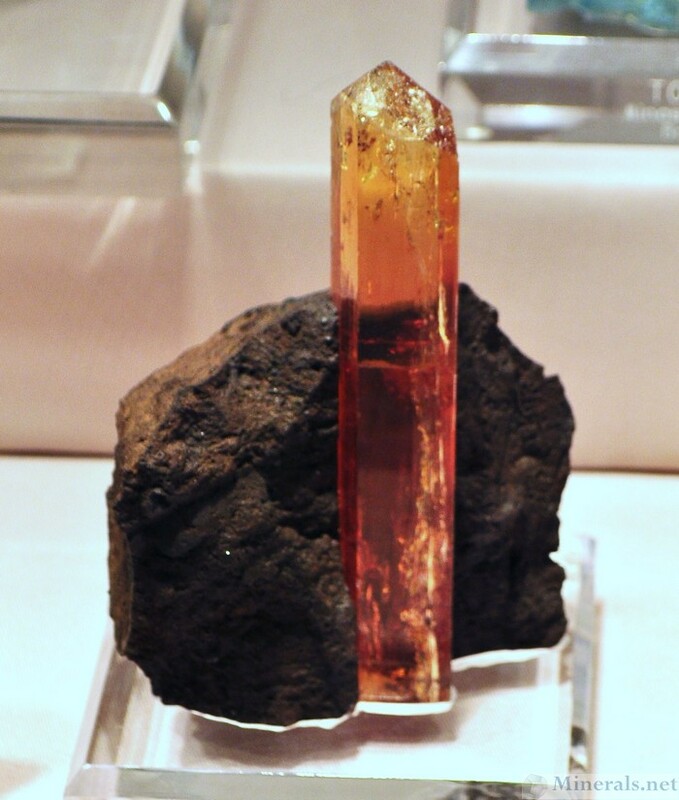 Elongated Imperial Topaz in matrix. 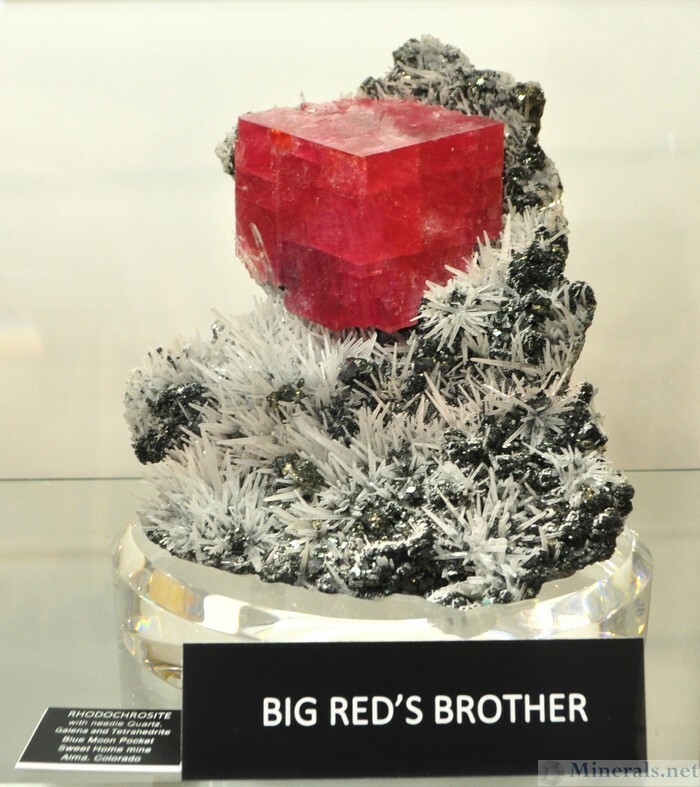 One rarely sees Imperial Topaz in this size, let alone in a matrix. 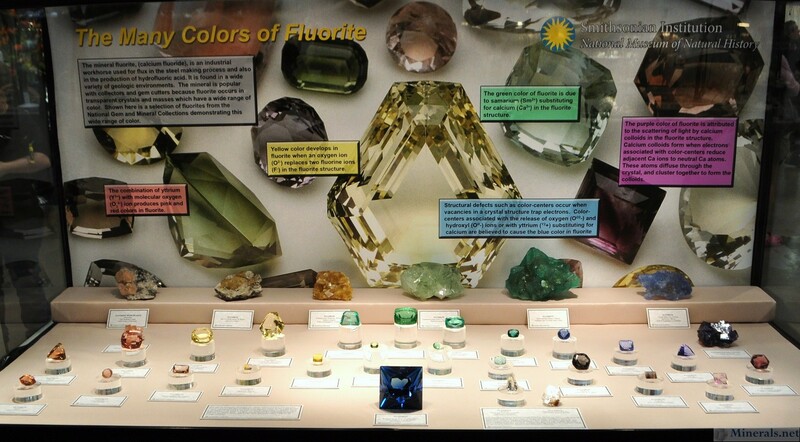 This was in a public exhibit featuring Topaz gemstone varieties. Sweet Home Mine in Colorado. 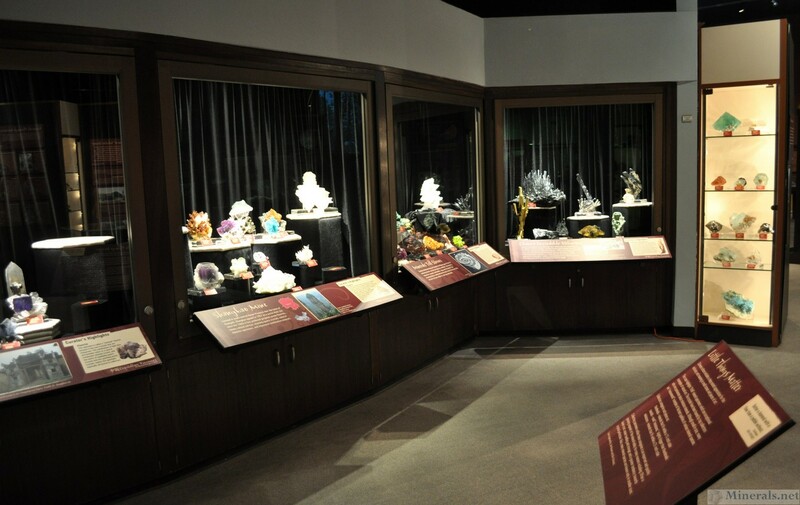 This was in one of the public exhibits. 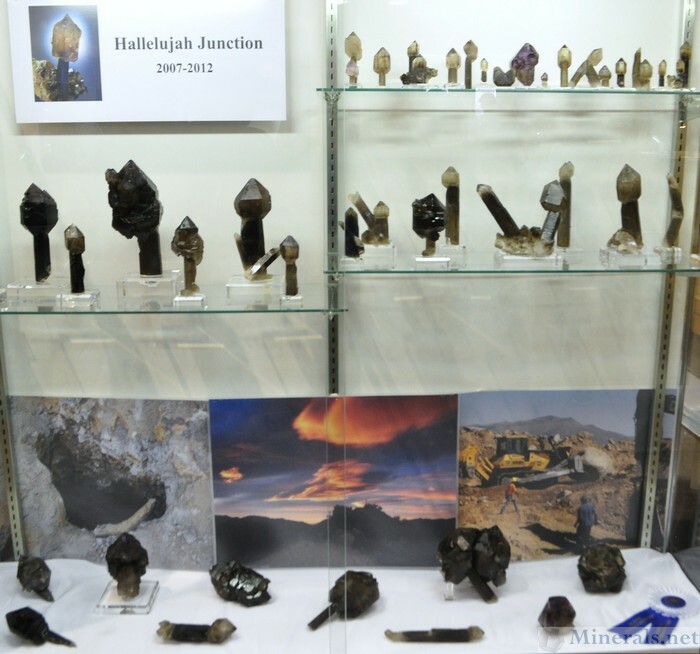 I am almost sure this same specimen was previously displayed at last year's show. 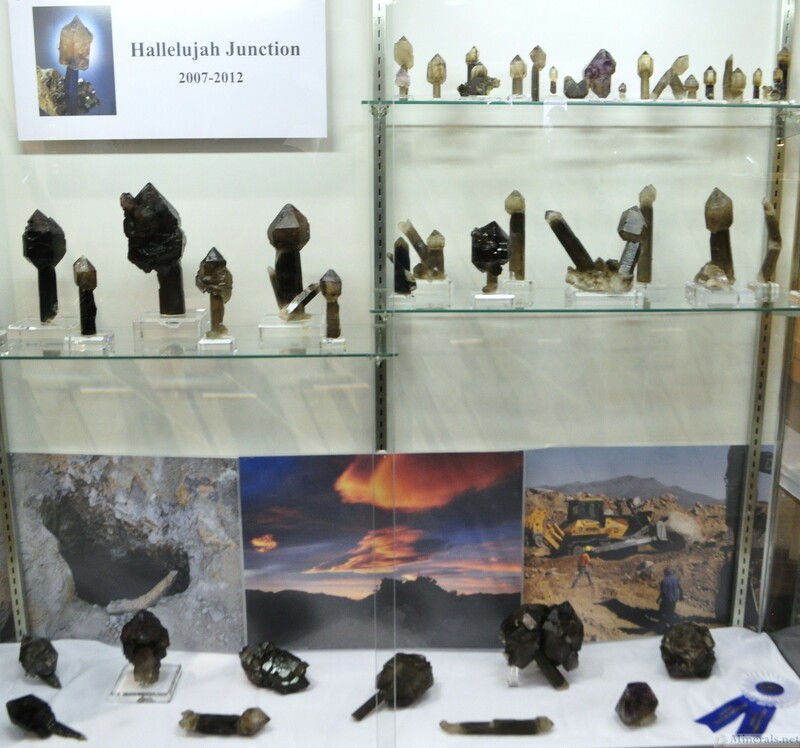 This is the final posting of the public display cases at the main Tucson show. 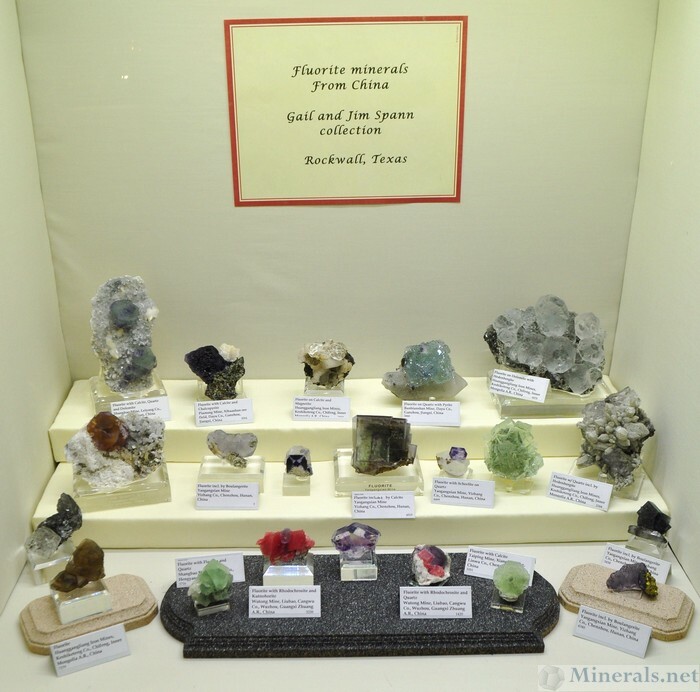 In this post I will continue to show the display cases at the Tucson show. As I went down towards the middle aisles, there were less fluorite cases and more general display cases.